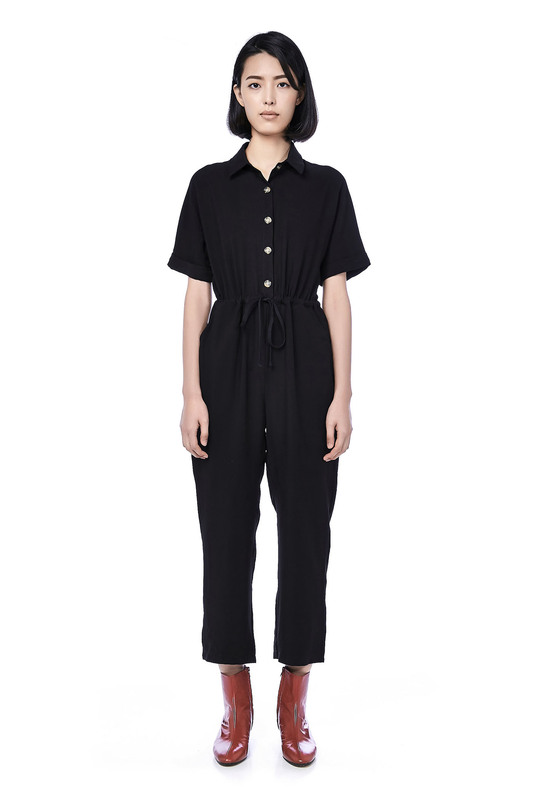 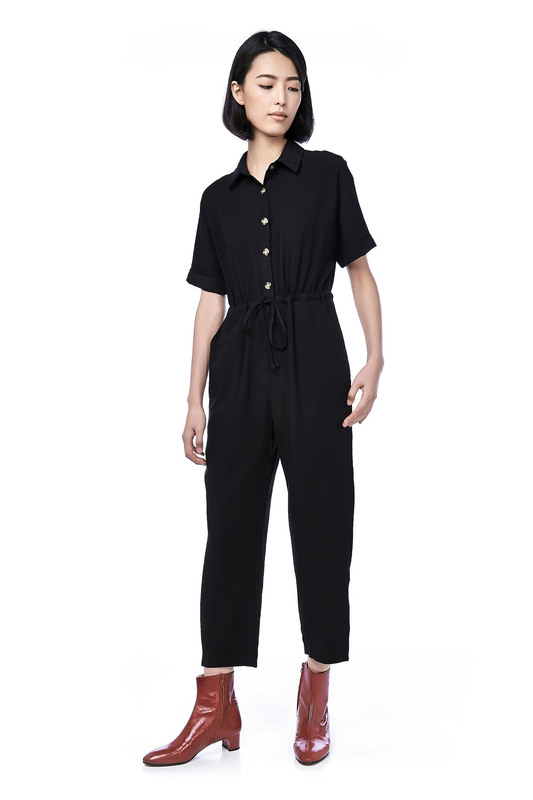 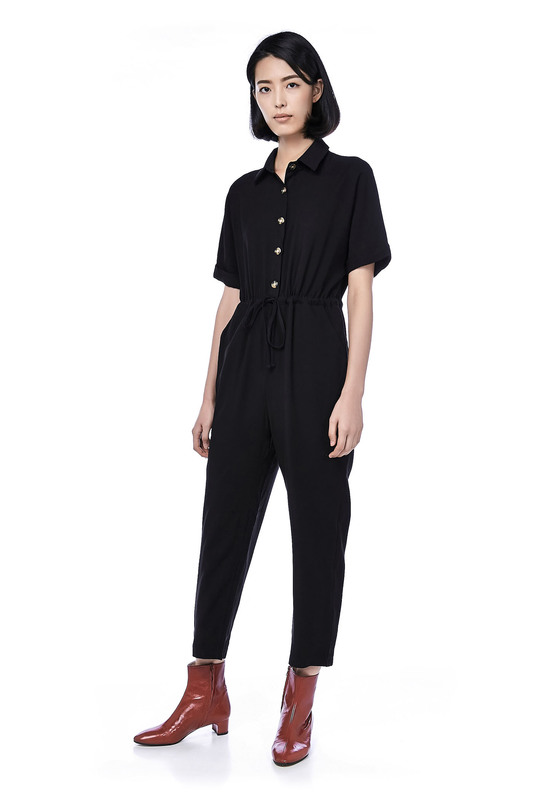 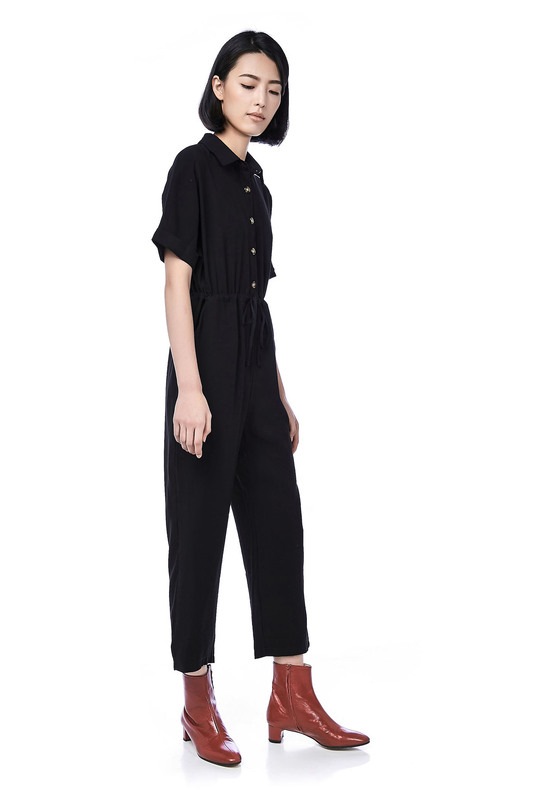 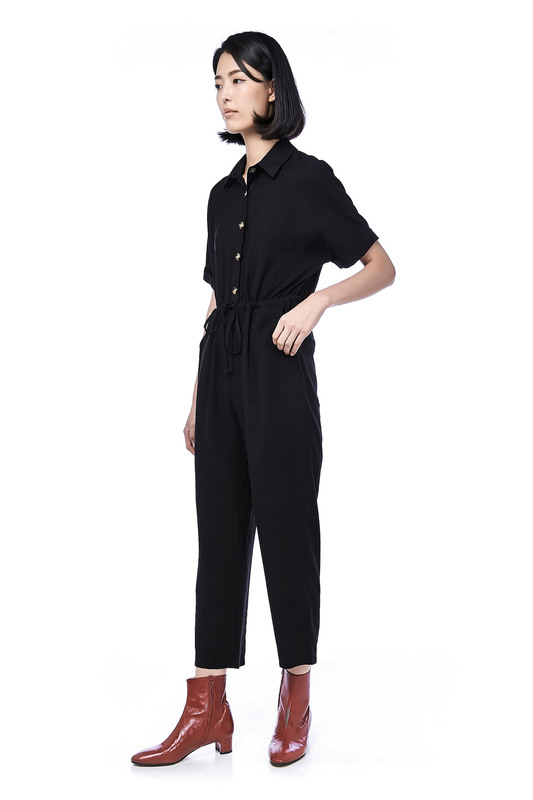 This short-sleeved jumpsuit is made from cotton polyester. 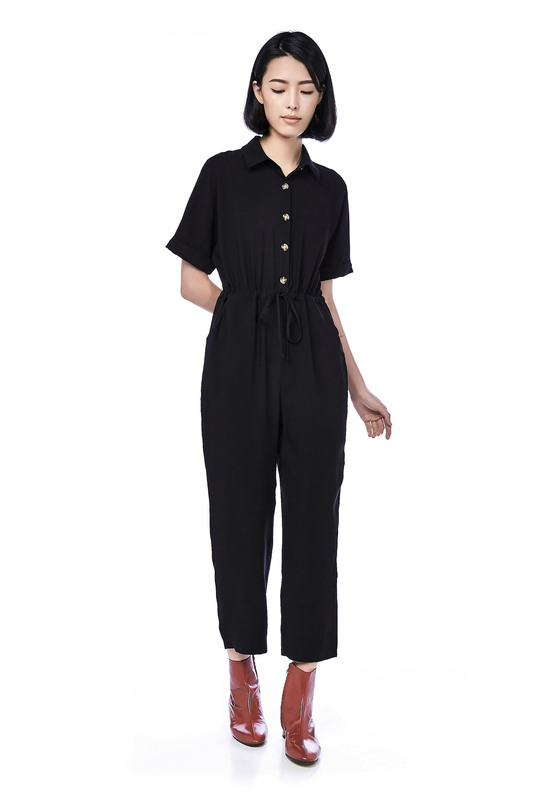 It has a regular collar with button fastening on the front, made in a relaxed fit. 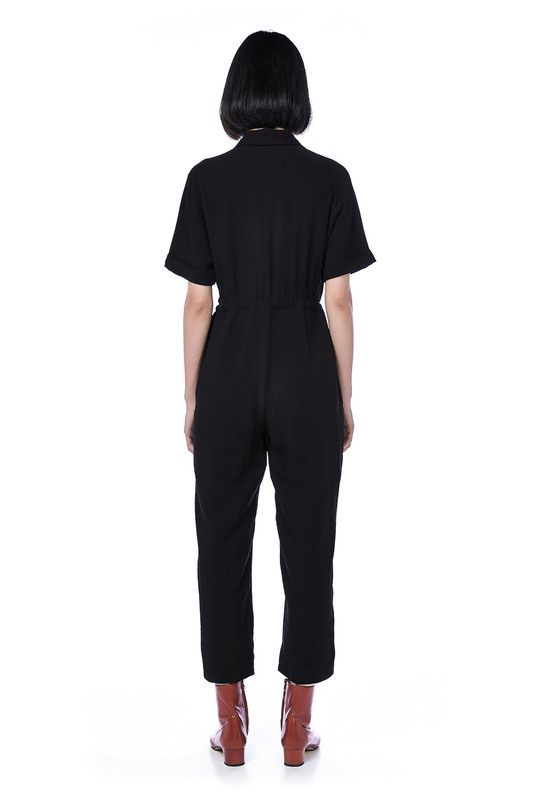 Functional pockets at both sides with adjustable drawstring at waist. 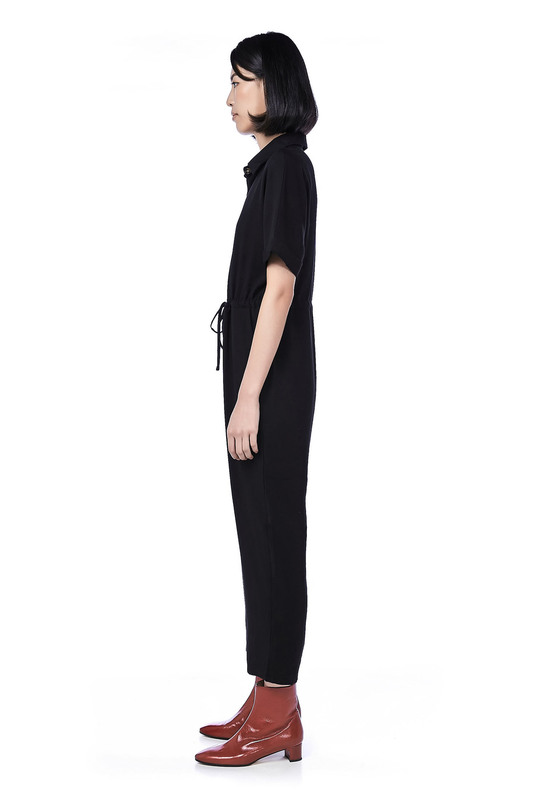 BUST 39" 41" 43" 45"
RISE 14" 14.5" 15" 15"
THIGH 23" 24" 25" 27"
LENGTH 53" 53.5" 54" 55"